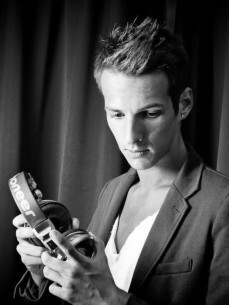 Young and talented DJ and producer FELIX combines strong passion with music with a great creativity in the recording studio and in the live DJ set. His discographi started with Distar thanks fo Luca Fregonese friend and productions partner. He started with top and lucky releases: Felix - Good Times top seller in Italy and Traxsource was included in many top famous compilations such as Hed Kandi’s Disco Kandi; Felix & Fregonese “Circoblanco” top italian seller CD single of summer 2012 and the follow up of Felix “Time To Love” included in top seller compilation Suburbia 2012. by the duo Luca Fregonese FELIX FREGONESE, producers and remixers now established worldwide the summer 2013 single My feeling, and many other successes make the two producers DISTAR between the most prolific of the moment. He recently participated in radio show FG radio FM with single Circoblanco.